Earlier today, we reported that Motorola has started pushing Android 7.1.1 Nougat update for the Moto Z Play in India. 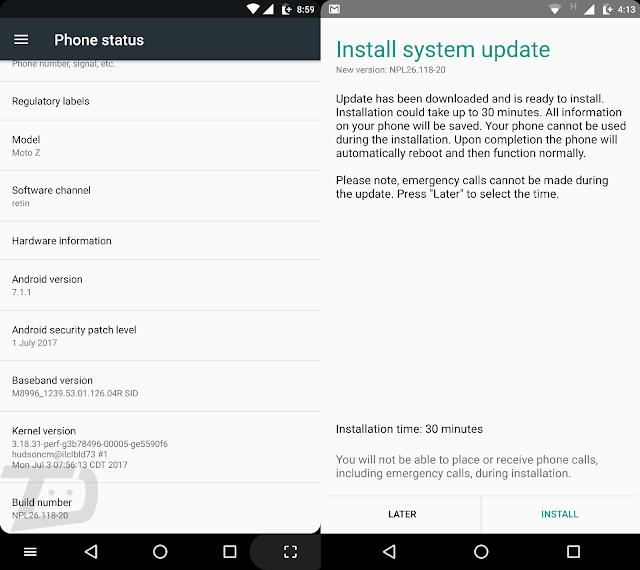 Now, it seems that the Android 7.1.1 Nougat update is also out for the Standard Moto Z. Thanks to Ativir Shah for sending this in, the Moto Z with retin (Retail India) software is now getting Official Android 7.1.1 Nougat update with NPL26.118-20 build number. 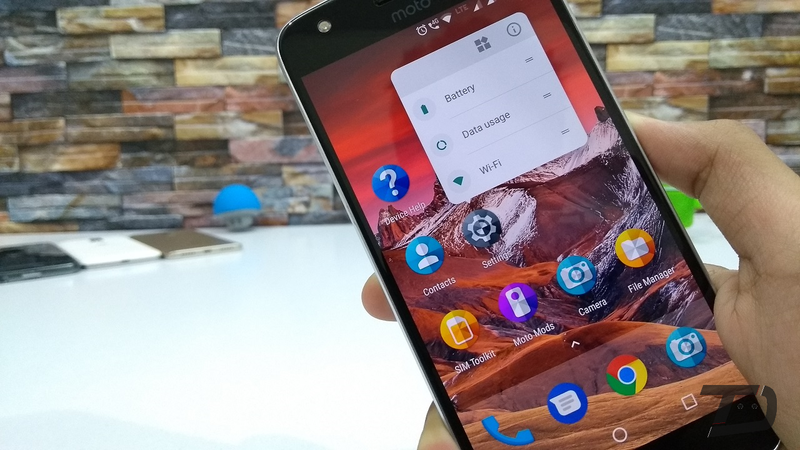 With Android 7.1.1, the Moto Z gets Video calling Duo application, Moto Mods v2.0, Tap on Fingerprint to wake-up Navigation Bar and Status Bar when in Full-Screen Mode, Stability improvements other interesting features along with Android 7.1.1 Nougat goodies.